Channel coding is an extremely important component in wireless and wired communication since it enables to both detect and correct transmission errors. One known property is that both iterative and longer codes have a better performance. However, iterative demand a longer computational time (need more than 1 iteration), while long codes need to first receive the (long) code before the decoding process gives any output. 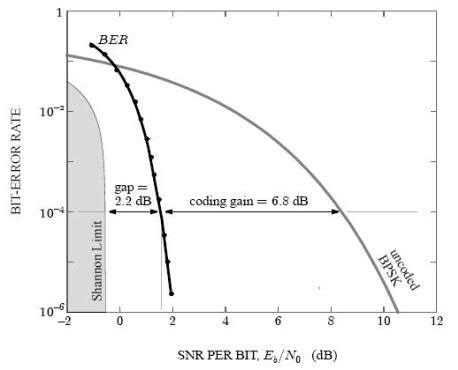 Hence, these effective codes introduce a long latency. The aim of this master thesis is to study various channel coding schemes and their setting, and compare them not only with respect to their coding gain, but also with respect to the latency that they are introducing. The channel coding schemes can include a combination of both soft and hard coding schemes, including block coding such as Reed-Solomon, LDPC and convolutional coding such as Viterbi and Turbo (de)coding.